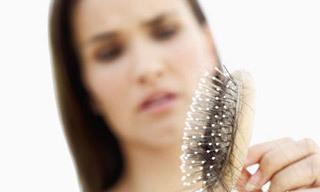 Temporary hair loss, also called Telogen Effluvium, is a common type of diffuse hair loss among women. With telogen effluvium, thinning hair or hair shedding is caused when a large percentage of scalp hairs are shifted into the Telogen phase (also known as the resting or shedding phase) of the hair growth cycle. (Other common types of diffuse hair loss are female pattern hair loss and chronic telogen effluvium.) This means that more hairs are in the resting stage than usual, and fewer hair follicles are available to grow new hair in the Anagen (growing) phase. 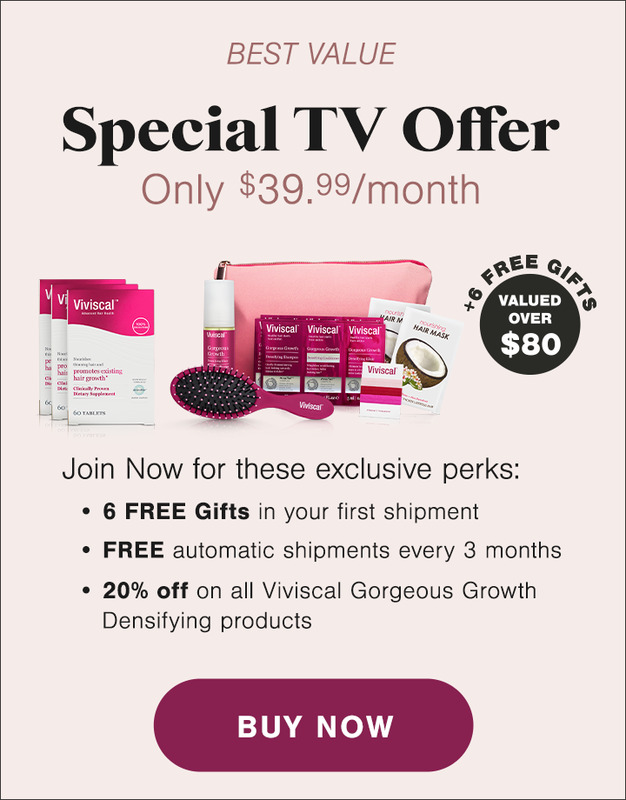 This slows down the hair growth cycle and results in a gradual thinning or shedding of hair. Thinning from telogen effluvium is usually more severe at the part in the hair and rarely results in recession of the hairline. Telogen effluvium is believed to be caused by one of a number of possible triggers. 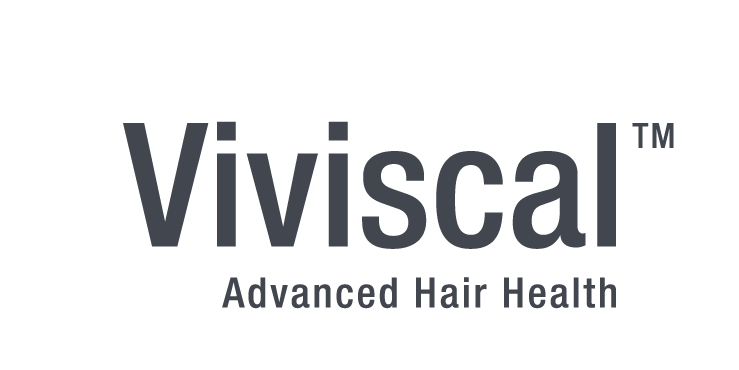 One possible event is an environmental trigger that "shocks" the hair follicles into a dormant state, causing excessive shedding or thinning of the hair that is usually noticeable within a few months of the shock. This type of telogen effluvium develops rapidly, but it can also recede quickly. The hair follicles return to normal and they will begin growing new hairs quickly once the trigger is removed. Typically, people with this type of telogen effluvium experience hair loss for less than 6 months and regain their hair within a year. Another possible trigger of telogen effluvium is exposure to a persistent trigger that causes the hair follicles to enter the resting phase and remain there for an extended period instead of re-entering the Anagen phase. When this happens, more hairs remain in the Telogen phase and fewer hair follicles are available to grow new hair in the Anagen (growing) phase, resulting in a gradual thinning or shedding of hair. This type of telogen effluvium progresses much more slowly and lasts longer than telogen effluvium caused by an environmental shock. A third possible trigger of telogen effluvium is an abbreviated Anagen, Catagen (transition) and Telogen phases of the hair growth cycle, leading to thinned hair on the scalp and constant shedding of shorter, thinner hair fibers. The factors that can contribute to telogen effluvium range from hormonal changes (particularly post-pregnancy or around menopause), periods of high stress and anxiety, poor diet, excessive heat styling and overstyling, illness, medication and smoking. The good news is that telogen effluvium is reversible and the hair usually grows back to its healthy state once the cause has been identified and removed. The hair has the propensity to naturally re-grow. Telogen effluvium treatment requires the right nutrition, including a balance of proteins, vitamins and minerals, to support healthy hair growth. Complete hair growth supplements with a blend of biotin, vitamin C, zinc, iron, marine extracts and other nutrients have been shown to be effective for all forms of telogen effluvium. In contrast to telogen effluvium, chronic telogen effluvium is characterized by excessive, alarming, diffuse shedding that occurs on a head with otherwise normal, healthy hair growth. Chronic telogen effluvium treatment is much more difficult to do successfully. Successful treatment of chronic telogen effluvium may take up to 10 years to resolve on its own or through medical treatments.